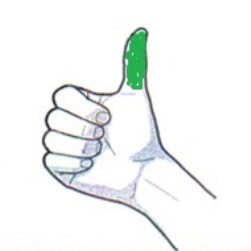 Q&Z Nursery. Medium [20" tall x 48" wide]. Fragrant lavender flowers late season. FRAGRANT FLOWERS! 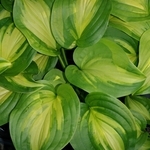 Hosta 'Emerald Charger' is a sport of 'Stained Glass'. A strong grower of gold leaves with wide green margins. Mature leaves measure 9" long by 7" wide and develop some waviness.